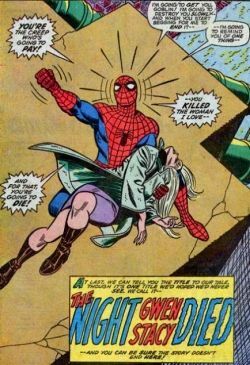 Spider-Man's girlfriend, Gwen Stacy, died 40 years ago this summer, marking the end of one era in comic books and introducing a realism into the lives of superheroes that continues until today. Gwen's death wasn't the first to ever occur in a comic book, of course. Superman's parents died when Krypton blew up back in the 1930s. Batman would never have become Batman if his parents hadn't been murdered. And numerous bad guys had bitten the dust (though many miraculously returned to bedevil the good guys once more). But Gwen Stacy's death was different, and felt different right from the start. She had been so beautiful, and it looked like Peter Parker, Spider-Man's alter-ego, had finally won her heart. The couple deserved happiness. That's what made the death so brutal to me at the time, a 10-year-old boy in New Jersey who had started reading comic books only a few years before. In fact, her death was felt so deeply by all comic-book readers that fans ever since have used Amazing Spider-Man No. 121 to mark the end of the Silver Age of comics that began with the re-introduction of the Flash in 1956. I remember exactly where I was when I found out Gwen Stacy died. It was a sunny day and I was sitting on the white rail fence in my front yard when my buddy Richie came around the corner waving the week's new comics in one hand and steering his bicycle with the other hand. This was before there were any local convenience stores near our neighborhood, so getting the latest comics was always hit or miss. Anytime one of us was out with our parents we would have to beg to stop at a store. If we got lucky, when we got home we'd rush over to show off the latest ones. On this occasion, Richie held out Amazing Spider-Man No. 121 and said he bet I couldn't get which character died. I remember guessing Randy Robertson, the young black guy at the lower left of the cover. Then Robbie Robertson, his father who was also the Daily Bugle's city editor. Then Flash Thompson, Spider-man's sometime-rival, sometime-friend. I was wrong on all counts, of course. Finally, after much begging, he let me read his copy. This classic tale is collected in Marvel Masterworks Amazing Spider-Man No. 13, which reprints issues No. 121-131. 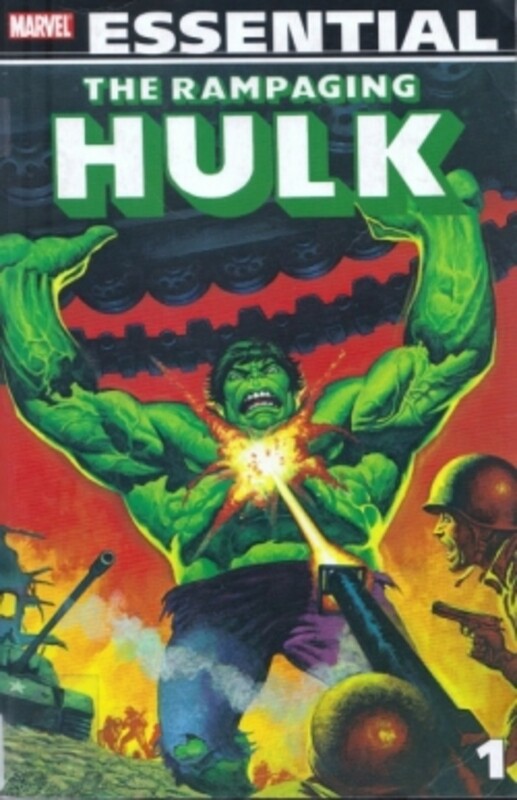 The great thing about this collection is that it also features the first appearance of the Punisher, a character who became one of the most popular characters in Marvel history a few decades later! 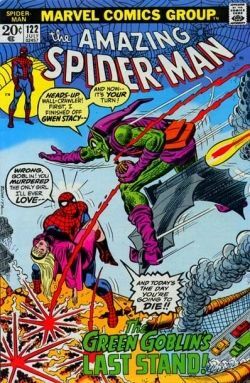 The Green Goblin had never been one of my favorite Spider-Man villains, so when I realized that he was the bad guy in this issue I was a bit disappointed. Sitting on that fence, though, with Richie and his brother Bobby watching I quickly read the comic. Despite the cover, the amazing thing about the story is that it is really straightforward. There really isn't much of a mystery. The Green Goblin returns. Since he knows Spider-Man is secretly Peter Parker, he goes to Parker's apartment to ambush him and instead finds Parker's girlfriend, Gwen Stacy. He kidnaps her, leaving one of his trademark pumpkins and a note saying to meet at the George Washington Bridge. 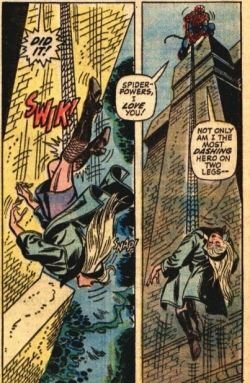 Spider-Man arrives at the top of the bridge to fight the Goblin, and Gwen is knocked off. Spider-Man uses his webbing to catch her before she hits the water, but the sudden impact of her momentum being stopped causes her neck to snap. The suddenness of her death shocked me. All the time I was reading he comic I was thinking there had to be a surprise on the next page. Since everything was pointing to her being the victim, she couldn't die! The last page, shown here, just really stunned me. Did Spider-Man Contribute to Gwen Stacy's Death? 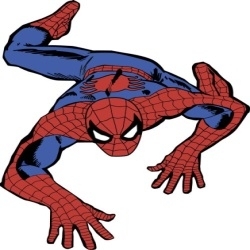 As Gwen Stacy plummeted toward the river below, Spider-Man shot his webbing out to catch her. But when it did her head snapped back so hard that an audible `snap' could be heard. When Spider-Man hauled ber back to the toip of the bridge he found her dead. 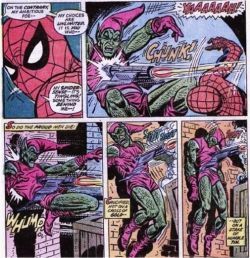 The Green Goblin gloated that a fall from that distance would have killed her long before she hit the water, the editors of Amazing Spider-Man No. 125 explained in the letter's page that it was the sudden stop that caused her neck to snap. So is Spider-Man to Blame for Gwen Stacy's Death? No, the Green Goblin knocked her off the bridge! No, there was nothing Spider-Man could have done to save her! Yes, he could have tried to swing down and catch her! Yes, the Green Goblin only kidnapped her because of Spider-Man! Both he and the Green Goblin share the blame! Does it matter? She's dead either way. Richie was the bigger Spider-Man fan (I liked Daredevil more at the time) and I remember he said he also was taken completely by surprise by her death. She had seemed like the perfect girlfriend to us pre-teens, and nothing bad ever REALLY happened to the good guys in comic books, right? So the next month, when issue No. 122 came out we were probably just as stunned to find out Gwen Stacy was still dead. And Spider-Man was the angriest we had ever seen him! When he finally tracks down the Green Goblin, the fight is vicious. Spider-Man holds nothing back. While the comic book panels probably pale to some of the violence shown in recent years at the time they were pretty brutal. And the Goblin's death! Impaled by his own weapon, in a way that made it absolutely clear that he was definitely killed. No phony comic-book death that would enable him to return in future issues. Should the Green Goblin have remained dead? Here is the death scene from Amazing Spider-Man No. 122, in which the Green Goblin is impaled on his own weapon and slumps to the ground. Many years later, Marvel Comics saw fit to pretend the death didn't happen. I prefer to think that it did, and that the killer of Gwen Stacy is still dead. What about you? 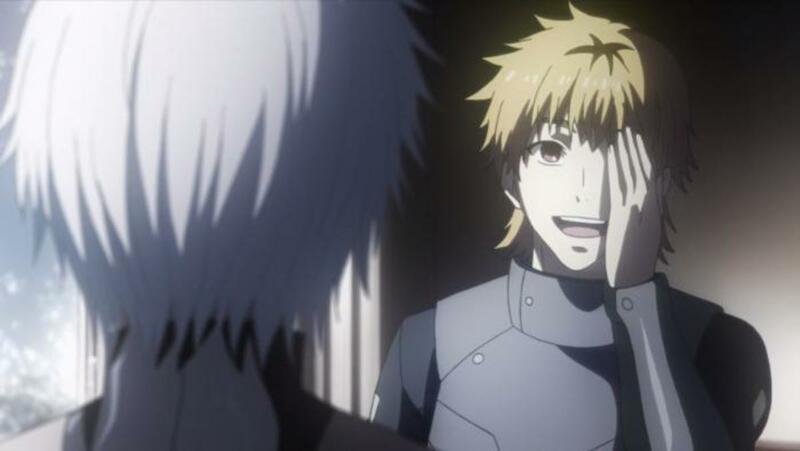 Yes, he is still dead in my eyes. No, he was too cool a character to let die. The end of Amazing Spider-Man No. 122 contained a scene that would have a lasting impact on Spider-Man's world for decades to come. Peter Parker arrives back at his apartment to find Mary Jane Watson waiting. Watson had been portrayed in past issues as a party girl, fun and flighty. She had been the girlfriend of Harry Osborn, Parker's roommate and best friend, but that had ended by this point with her declaring she didn't want to be tied down to anyone. When Parker sees her he tells her to go away, that he wouldn't want to spoil her fun. She steps to the door, then closes it quietly. We didn't realize it at the time, but it was the start of Mary Jane's transformation from a carefree party girl to friend to romantic partner to wife. The Deaths of Gwen and Her Father, Capt. Stacy! Years before Gwen died, her father also met his death at the hands of a Spider-Man foe. That event occurred in Amazing Spider-Man issue No. 89, and Marvel Comics wisely has put out this collection that contains both the storyline involving the death of police captain Stacy and the one with Gwen's demise. The collection, needless to say, is much more affordable than buying the individual comics from a collector. Emma Stone portrays Gwen Stacy in the 2012's ``The Amazing Spider-Man'' and she sure fits the part. The movie shows her as a high school classmate of Spider-Man's secret identity, Peter Parker, but that's not how it was in the original comic books. In the original series, Peter and Gwen meet when he enters college. Thanks for letting me share this memory from my comic-book youth. Please let me know what you think of this review, Spider-Man, Gwen Stacy or comic books in general. Essential Captain America: Art by Kirby, Steranko and Colan! I used to love reading the American comic books. We didn't get all of them in the UK and my parents certainly would not have let me place a regular order, because they were very expensive, so I used to buy them on holiday, with my holiday money. Well done lens, as always! It was fun to read about Spiderman and Gwen! 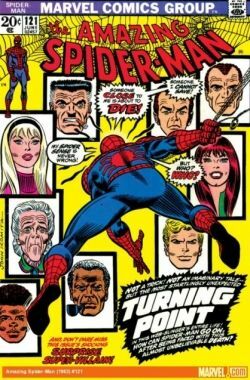 I like collecting comic books that are classic and yes Spider-Man is a classic comic! Spidey's bad guys have the story of their own. They have proper human motivations and pains. They tend to be the unfortunate guys than the bad guys..unlike other superhero bad guys. Great Lens. Congrats. Green Goblin was my favorite Spidey bad guy. Did not like the football helmet mask they used in the movie, but he's still my fave! These comic books look like collectible items. I understand that certain issues can cost quite a bit on the market. I've mostly been an Iron Man fan, but Marvel in general is pretty cool. 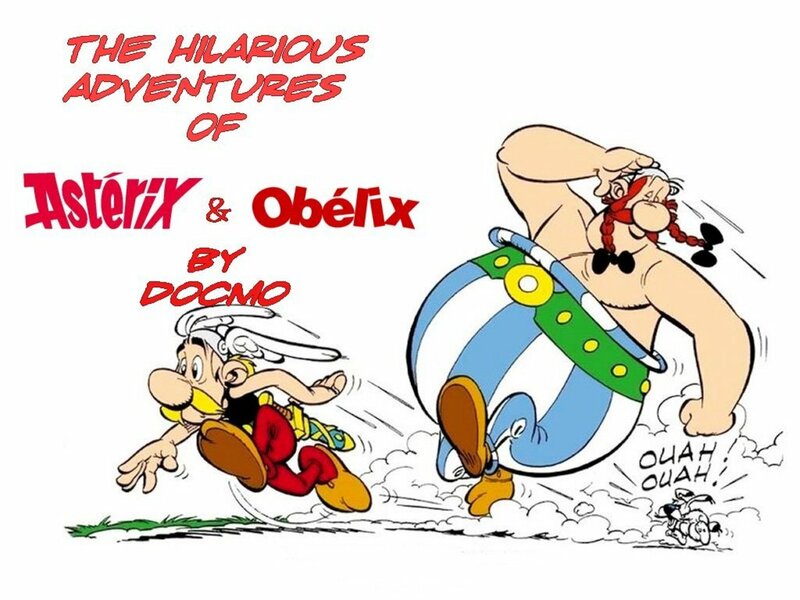 I'm not into comics, never was much, but I enjoyed your article. I have never read a comic book in my life but I loved your story and how you told it - and who doesn't like Spiderman!? I'd forgotten all about that sequence. It has been a while since I've read Spiderman. Excellent review and lens. Congratulations on getting the Purple Star. Congrats on your purple star. I think this is a great review and I enjoyed my visit. Thanks.